At the same time as computer technology has exploded, we’ve watched the precipitous decline in music as a physical medium. It’s an obvious and understandable trend from both the consumer and manufacturer perspective. Listeners consume music almost exclusively as streamable files on our computers, tablets, and portable devices, so why should we be spending our money on obsolete technology? But for true audiophiles and music collectors, vinyl remains the gold standard, and not always for the reasons you might expect. 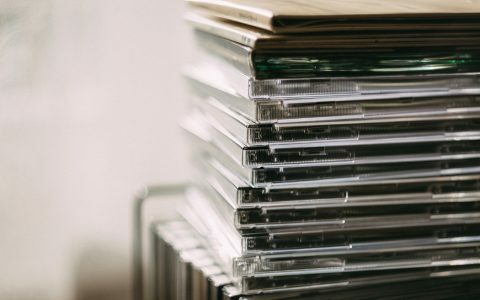 Yes, analog waveforms are smoother and warmer than digital bounces, but what many young listeners, myself included, often forget is that owning an album is a multi-sensory experience. By owning the sound you also own the physical artifact of the record, the large format prints of the album art, the extensive liner notes, the lathes of engraved sound chemically imprinted on a disc of vinyl. This physical object can even be used as a musical instrument itself. We sometimes forget to acknowledge the vinyl LP for what it truly is: a physical piece of art in and of itself. Thankfully for us listeners, there are several independent record labels and artists who continue to push the conventions of vinyl. Even with technology this archaic, there are always novel ways to design, manufacture, and play around with the medium. Here are a few examples of such innovations. Nick Zammuto, formerly of The Books, creates vinyl with screen-printed center labels that allow you to scratch beats directly onto the surface of the vinyl itself and measure the time signatures. By mathematically segmenting the circular center label into rhythmic placements, Zammuto has crafted a unique beat-making system that has a timbre exclusive to the vinyl medium. For an in-depth look into how Zammuto designs and manufactures such a unique concept, check out the above video and try it for yourself! Zammuto’s album comes with a locked groove that he suggests scratching holes into, however it is possible to do this with any record as long as your turntable has a manual arm. If your turntable automatically finds the end of a record and returns the arm to its holder, it might not work, but manual turntables will play endlessly, even if the vinyl does not have a locked groove. It’s a great way to design your own analog beats. This manufacturing technique requires a bit more work from the listener’s perspective, but as a concept it’s unlike anything seen on a physical release before. Released by Joyful Noise Recordings, the above “six-sided” vinyl by Jad Fair’s band Half Japanese consists of three individual lathe cuts per side whose circumferences never intersect with each other. There are three rotational holes in the center of the record rather than just the one. Each hole is central to one of the three individual lathe cut songs on each side. In order to hear the next song, the listener must lift the record and physically move it so the next hole is on the center spindle. This process is done three times per side, thus the record has “six sides.” Makes for an in-demand product and unique listening experience. Joyful Noise also released a lathe-cut CD/record hybrid by Yonatan Gat earlier this year. 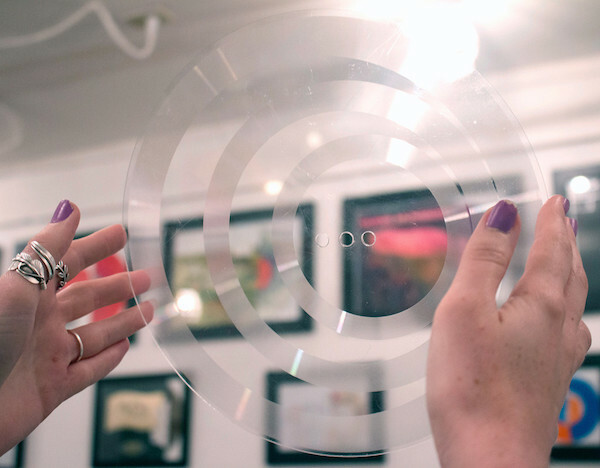 Something that has been utilized since the 1950s as a way to create what marketers have often called “playable art,” the picture disc is a standard two-sided record that has album art, lyrics, etc. printed on the vinyl itself. It became something of a collector’s item prize by the 1970s, with bands releasing limited editions of picture discs at the time immediately following an album’s debut. They are still utilized today as a means of merging visual art and the vinyl medium, most recently and notably as seen in Bjork’s 2015 limited release, Vulnicura Live. Speaking of playable art, it is also possible to cut vinyl into bizarre shapes. It’s mostly a gimmick… but your record will certainly stand out! Since the birth of hip-hop in the late 1970s South Bronx, vinyl performance, or turntablism, has become a musical culture in and of itself. The idea of DJ culture would not exist without the initial combination of two turntables and a mixer in between. And while actual vinyl is used less and less, with DJs opting for digital interfaces such as Serato, Traktor, etc., the art of cutting and scratching is alive and well amongst hip-hop connoisseurs. For an in-depth look into the history and culture of hip-hop turntablism, check out the full-length documentary, Scratch. Turntablism as improvised sound art: What many may not know about turntablism is that many artists have taken the performance medium and re-contextualized it outside of hip-hop and dance music entirely. Artists such as Christian Marclay, Otomo Yoshihide, and Maria Chavez redefine the turntable as a flexible and organic creator of sound. By piecing broken records together, replacing needles with found metallic objects, and focusing their overall craft on the physicality and mechanics of the turntable, these artists transform your standard record player into an other worldly tool of improvisation that they have virtuosically conquered as musicians. For more information on turntablism as a medium for sonic arts, do yourself a favor and pick up a copy of Maria Chavez’ book, Of Technique. And for further inspiration, check out these incredible performances!